by all the preparations that had to be made. “Martha, Martha,” the Lord answered, “you are worried and upset about many things, but few things are needed—or indeed only one. Mary has chosen what is better, and it will not be taken away from her." the social expectations on Martha a source of emotional and physical pressure. And, playing hostess to a local celebrity such as Jesus from Nazareth made the situation so much more intense. It required flawless hospitality! Mary's sudden loss of interest in social responsibility, cultural norms and her general disregard for the people visiting her house would surely leave a social stigma that would affect everyone in her household which included her sister, Martha, and brother, Lazarus. Martha feared people would be talking about this social gaffe for years! She was “worried” or “anxious” – Gr. merimnas – refers to an agitated state of mind created from being overly concerned with too much care invested in a situation. She had chosen the lesser potion - at that moment in time Martha had chosen the portion that was less valuable. Indeed, social expectations and standards are important at some level, but when compared with the Lord’s Word and his company, then social standards are far inferior. Martha was preparing portions/dishes of food, but Mary had chosen “ten agathen merida” (Gr), or “the good portion” or “the most important dish.” Jesus will not deprive Mary of her choice only to inflict on her the burden of being distracted by the unnecessary busy-ness and worry of socials demands. In this case, Jesus approved a woman breaking the social expectation of serving as a hostess, the typical role of a woman, and allowed the woman to choose the role of being a disciple of a rabbi, which was socially only available to men. “Jesus” and “Christ” are mentioned 1,251 and 545 times in the New Testament. “David” is mentioned 1,007 times in the Old and 57 times in the New Testament. Mishkan was Jesus when, "The Word became flesh and made his dwelling among us. Jesus is dwelling among us and calling us to serve him today. But, is it possible that I am overly concerned and care far too much about things that do not matter? Am I investing time, energy and resources into situations that are meaningless when compared to God's desire to dwell with me? "The sacrifice of the wicked is destestable - how much more so when brought with evil intent." 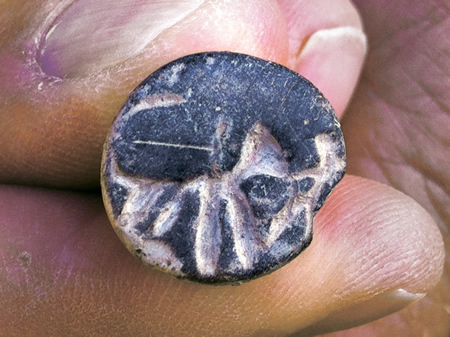 A coin found in 2012 at Beth Shemesh in Israel along the Sorek Valley which was the border between Judah and Philistia. Samson grew up in this area and killed a lion as he walked through the vineyards near Tmnah in the Sorek Valley (Judges 14:5). This coin is from around 1050 BC which means the story of a man and a lion circulated during the days of Samson. 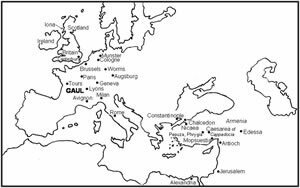 This supports the biblical account and undermines the critics who claim that the story of Samson was a fabrication of the Jews returning from Babylon around 538 BC. 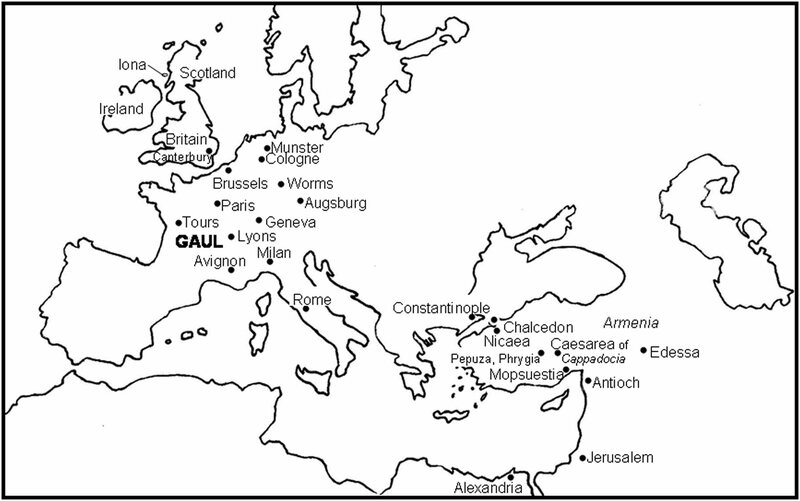 Important cities in Christian history.